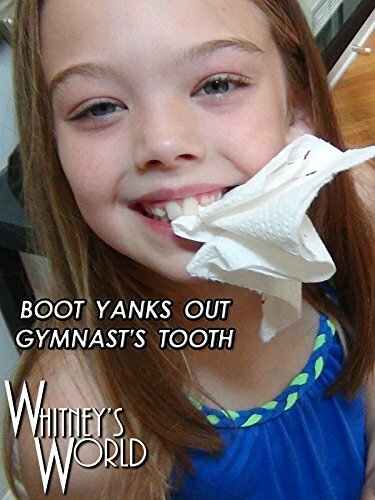 After Whitney had given Blakely a hard time about being chicken to have her tooth pulled out by a boot, she had no choice but to do it herself with her next loose tooth. In this video Whitney bellies up to the banister and drops the boot, thereby yanking the attached tooth from her pretty 10 year old head! Whitney was very brave, and in the end we were able to find the tooth.